Alex, linguiste au CNRS, a été adopté par les habitants de l’île de Motalava, au Vanuatu. Il décide d’y retourner exceptionnellement avec toute sa famille, pour l’inauguration d’un chant épique qui doit lui être consacré. Alex, an outstanding French linguist from the CNRS, has been adopted by the people of Motalava island, in Vanuatu. He decides to go back there with all his family, especially for the launching of an epic traditional chant dedicated to his own work. Sound : Nicolas Becker, Sebastien Pierre. April 2002, a few days before the election, in Port-Vila, capital of the Republic of Vanuatu. Here, the campaign doesn’t take place on television, but in the streets. The film gives voice to the grassroots electorate and to some of the newly created parties. Among them, the NCA of Sabi Natonga, a young and ruthless leader who claims the support of the numerous migrants coming from Tanna island. Far from the exotic image which often envelops Vanuatu, this film takes us right into the heart of the political life of this small Pacific archipelago. 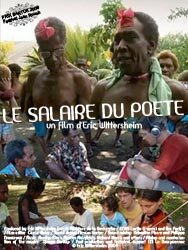 Prize of the jury at the FIFO 2004 (International Pacific Film Festival) in Tahiti (French Polynesia). Between town and country, in contemporary France, the entangled trajectories of Ananda, Emma and Julie, three children born from the commune movement of the 1970’s. A reflection on the rich and yet difficult legacy carried by the « children of May 68 ». Broadcast by Arte (French-German cultural channel) and Planete in 2000.